Tac*One Consulting is often covered in the local Denver, CO media and also in newspapers and tv news reports throughout the US. Here is a sampling of some of the coverage of us and our active shooter, school faculty and civilian training. Nightline 11/14/14 – What It’s Like Inside a School Shooting Drill – 8 minute video news story covering TAC*ONE Consulting’s Beyond The Lockdown active shooter training for schools at SkyView Academy in Highlands Ranch, CO. Spotlight on a teacher that was a freshman during the Columbine High School shooting. Today Show 11/13/14 – Joe Deedon of TAC*ONE Consulting interviewed regarding the Marysville WA High School shooting 911 dispatch recordings. The teacher in the cafeteria did a very good job relaying necessary information needed. Here are a few of the online stories that appeared as well. 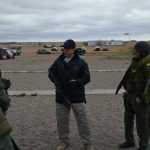 A series of articles have been written covering our active shooter training program for school faculty that has been rolled out in Santa Fe, NM. While the articles fail to mention TAC*ONE Consulting, this is our program. Wall Street Journal – Active Shooter Drills Spark Raft of Legal Complaints – Joe Deedon interviewed by WSJ for opinion. 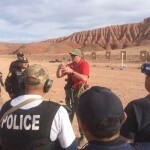 Denver Channel 7 – local Denver abc affiliate – Written story and 6 minute feature news video story cover TAC*ONE Consulting active shooter training at Pinnacle Charter school in the metro Denver suburbs.